Please tick the box to receive latest news and offers from Safer Parking Scheme. The Premier Parking Solutions car park in Stuart Road, Plymouth has achieved the coveted Park Mark, Safer Parking Award. This award was handed to Premier Parking Solutions by Inspector Simon Hardwick, Devon and Cornwall Constabulary’s Local Policing and Partnership Unit and Chief Inspector Rob Moony the officer in charge of Local Policing and Partnership. A Park Mark is awarded to parking facilities that pass a rigorous risk assessment conducted by the police and the British Parking Association. The assessments include management and maintenance of the facility, ensuring that there are appropriate levels of surveillance, lighting, signage and cleanliness. These criteria are known to reduce the opportunity for crime and create a safer environment for the motorist and their vehicle. 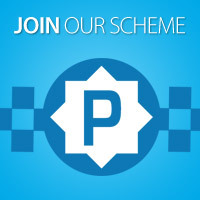 Premier Parking Solutions and the landowner have put in place measures that help to deter criminal activity and anti-social behaviour, thereby doing everything possible to reduce the fear of crime. Chas Cannon, Safer Parking Scheme Area Manager said: “I am delighted that Stuart Road car park has achieved the Park Mark Award, as it means they are delivering a safer environment for all those using the car park. These comments were endorsed by Inspector Hardwick and Chief Inspector Mooney. 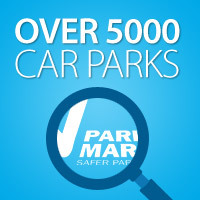 Car parks with the Park Mark award can use signage featuring the distinctive Park Mark tick, so that drivers know exactly where to go for safer parking. Stuart Road car park is located close to the city centre, Plymouth railway station and Home Park and offers all day parking at £4.50 and 24-hour parking at £6.50, which is the cheapest in the city centre. There is also a selection of weekly, monthly and quarterly permits available at a reduced cost. It is ideally located for shoppers, commuters and city workers looking to reduce their parking costs. Enjoyed this post? Give it a rating and share! Subscribe to our RSS Feed or simply recommend us to friends and colleagues! Sign up to receive special discounts and offers, and the latest news from Park Mark, direct to your email box.